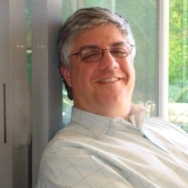 Owner and CEO Stephen "Steve" Sentz has over 25 years of experience in information technology and system management. A graduate of Pennsylvania State University, Steve took his first job in the insurance industry right out of college. He worked his way up quickly, learning and implementing changes as technology rapidly expanded. About eight years ago, the tough economy struck a passion in Steve and he decided to take his talents and expand them to smaller businesses. Steve created Sentz Consulting: a company aimed at offering high-quality technology support at a reasonable cost for smaller businesses who cannot afford a full time staff. In his free time, Steve enjoys spending time with his family, traveling, and reading about Space. Dominic graduated from York College of Pennsylvania with a B.S. in Computer Science. 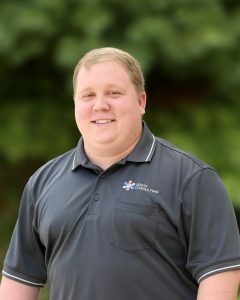 He began working with Sentz Consulting as part of a summer co-op and became a full-time Systems Architect upon graduation. 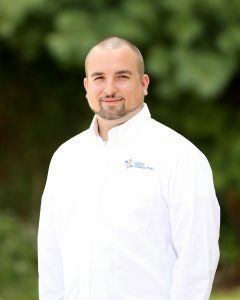 He currently serves as both a Systems Architect and Senior Consultant, specializing in Maximo implementation and administration. Dominic developed the original XMS mobile application and still serves as an advisor on the project. In his free time, Dominic enjoys video games, making music, and spending time with his wife and daughter. Andrew is a graduate of California University of Pennsylvania with a B.S. in Computer Science. He began his career with Sentz Consulting as an intern during his senior year in college and gained full time employment upon graduation. Andrew's primary responsibility is the development of our Maximo mobile application along with other programming projects. Andrew's attention to detail and programming knowledge enable him to effectively transfer customer needs into user friendly applications. In his spare time Andrew enjoys paintball, snowboarding and golf. Brooks is a graduate of Lebanon Valley College, Pennsylvania where he earned a B.S. in Business Administration and Health Science. His positive attitude and team-oriented approach makes Brooks an integral part of our Maximo consulting team, helping clients achieve their strategic mission and vision through effective technology. 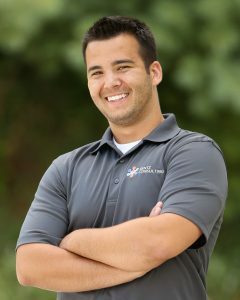 Brooks is an avid sports fan who enjoys muscle cars and loves spending his free time with friends and family. Lauren Sentz Workman is a graduate of Mansfield University where she studied Social Work. Following graduation she used her degree to become a Social Worker in York City. After 10 years of service and two children, she decided it was time to be a stay at home Mom. Shortly there after she took on being the Office Assistant part time here at Sentz Consulting. Lauren is very motivated and of great help here in the office. She gets things done in a timely matter and is always willing to step in where ever she is needed. When Lauren is not in the office she enjoys being a stay at home Mom, going shopping, and taking her family on their annual beach trip. Lloyd E. Cavey (COL, USA Ret) President of Monarch Energy Services (MES). He has 40+ years of experience in operations with extensive experience in government contracting, facilities management, organizational development and renewable energy. Prior to his current position Mr. Cavey served as both Vice President of Pepco Government Services and Pepco Energy Services providing senior management oversite to numerous Energy Savings and Performance Contracts. He holds a BS in Business from the University of Baltimore, and an MBA from Central Michigan University. Mr. Cavey is also a retired United States Army Engineer Officer. His military training includes graduating from the Army Engineer Basic and the Advanced Army Engineer School, the Army Command and General Staff College, The Army Senior Logistic Development Course and Army Senior Maintenance Manager Course. Mr. Cavey is a member of the Society of American Military Engineers and the Association of Energy Engineers. Bob is a Certified Public Accountant (Inactive), a Certified Information Systems Auditor and a Chartered Global Management Accountant. After graduating with an accounting major from the University of Southern California, Bob joined the international CPA firm of Deloitte (Deloitte Touche Tohmatsu Limited). 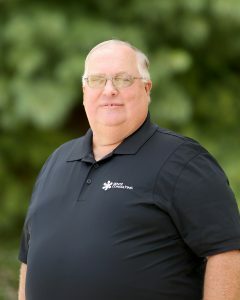 During his nine years with them, Bob developed an expertise in large account management and computer auditing focusing on the complex audits involving insurance companies, insurance brokerages and savings & loans. Both as a vendor and an independent consultant, Bob spent his next 25+ years assisting large regional and national insurance brokers with their automation strategies, growth and merger plans. 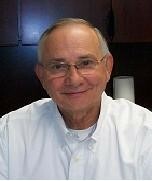 For the past 10 years, Bob has been the Chief Operating Officer of John O. Bronson Co., a division of Hub International Insurance Services, Inc.
Bob has been married to his wife Lynn for over 40 years. They had two children and are now enjoying being grandparents to two very active grandchildren.